It is common in nature, from the dazzling blues of peacock's feathers, to the gem-like appearance of insects. Although using bright flashy colours as camouflage may seem counterintuitive, researchers at the Bristol Camo Lab found that intense iridescence obstructs the bumblebee's ability to identify shape.The eyes of bumblebees have been extensively studied by scientists and are very similar to those of other insects. Lead author Dr. Karin Kjernsmo of the University of Bristol's School of Biological Sciences, said: "It's the first solid evidence we have that this type of colouration can be used in this way. 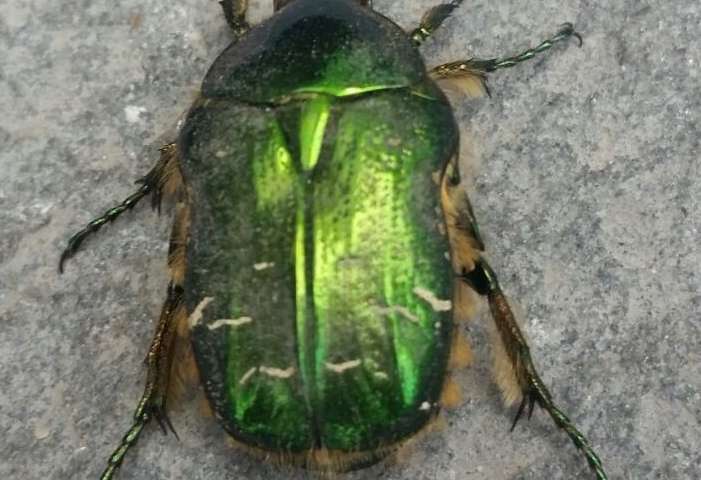 "Thus, if you are a visual predator searching for the specific shape of a beetle (or other prey animal), iridescence makes it difficult for predators to identify them as something edible. We are currently studying this effect using other visual predators, such as birds as well. This because birds are likely to be the most important predators of iridescent insects." The first links between iridescence and camouflage were first made over one hundred years ago by an American naturalist named Abbott Thayer, who is often referred to as "the father of camouflage". He published a famous book on different types of camouflage such as mimicry, shape disruption and dazzle, which is thought to have inspired the "Razzle Dazzle" painting of battleships during the first World War. Dr. Kjernsmo added: "This study has wider implications for how we understand animal vision and camouflage—now when we see these shiny beetles we can know that their amazing colours have many more functions than previously thought." 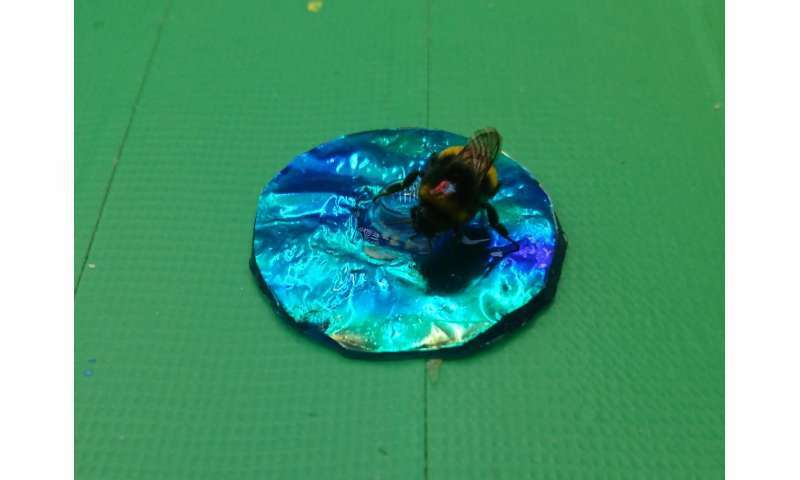 More information: 'Iridescence impairs object recognition in bumblebees' by K. Kjernsmo, J. Hall, C. Doyle, N. Khuzayim, I. Cuthill, N. Scott-Samuel and H. Whitney in Scientific Reports, 2018.